Sleekly designed and weighing only a mere 12 lbs., this portable media player seamlessly integrates USB compatible technology with a 2-channel audio mixer and a built-in iPod dock. I really like that you can search, cue, play, pitch, mix and even scratch digital music files directly from an iPod or other external USB storage device! 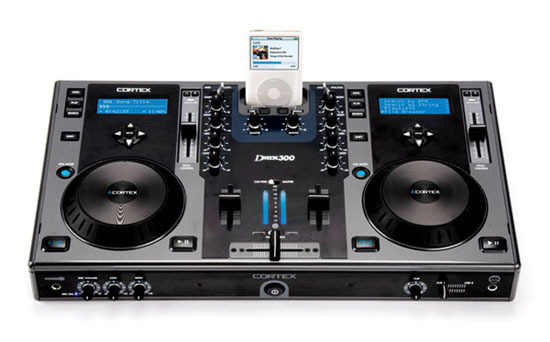 Fully CBR and VBR MP3 compatible and boasting essential features such as iTunes playlist compatibility; two Tri Mode Jog Wheels for search or pitch bend; two 80 character dot matrix playback info displays; a rear-mounted USB port for storage device sharing and external CD/DVD-ROM drive option; individual RCA outputs for Master, Booth and Record; and a USB keyboard connection offering faster search and navigation, the DMIX-300 delivers optimum functionality and unmatched control of your digital music files. The mixer section comes fully equipped with a 3-band EQ per channel with Gain Control, blue “Fluid” diffused VU meters, cue fader, Master/Cue select for headphone output, 1/4″ mic input with 2 band EQ, Auxiliary Inputs for Phono or Line devices, ultra-precise Pitch Control with a range of +/- 24% and a 45mm SuperSmooth Crossfader with selectable cross fader curve. You can use the dMIX-300 Digital Music Control Station for small events, wedding ceremonies, as an ancillary unit for cocktail hour, and as an audio back-up system. 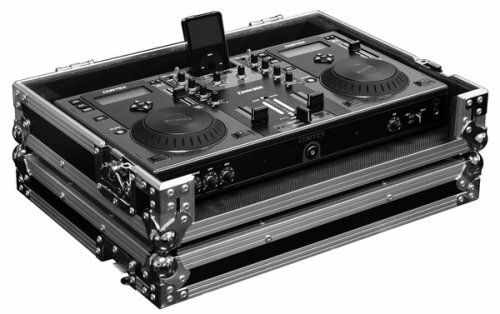 It’s compact, easy to carry, and a really nice all-in-one mixing solution for the digital DJ. Hook the unit up to a pair of GVX-12P active speakers and you’re ready to rock and roll! Stacy Zemon is a self-described serial entrepreneur (Equal parts creativity and business). She is a distinguished industry leader who is widely considered an authority on the DJ business. 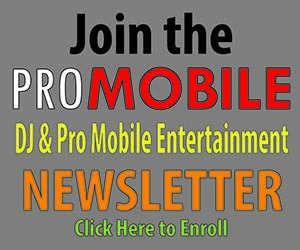 Stacy is a veteran disc jockey, writer for DJ Times magazine and author of the world’s best-selling DJ books: The Mobile DJ Handbook, The DJ Sales & Marketing Handbook and The Mobile DJ MBA. 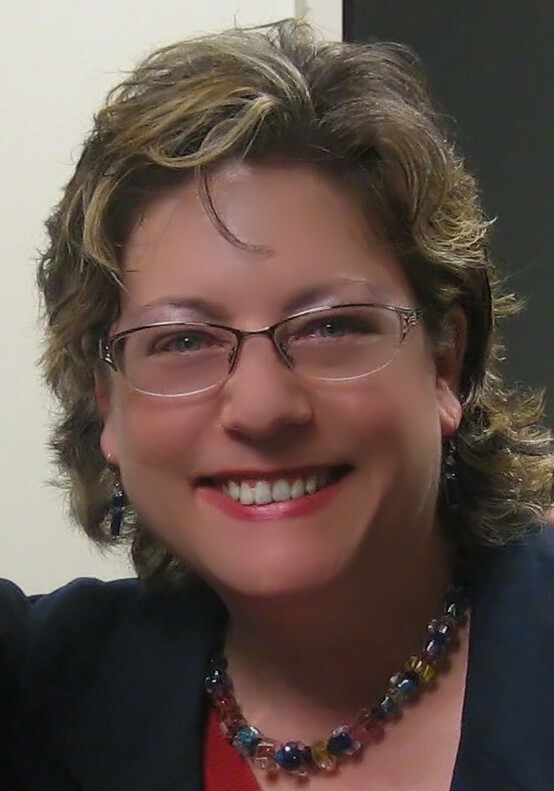 To check out Stacy’s copywriting, business consulting and other services, click here.